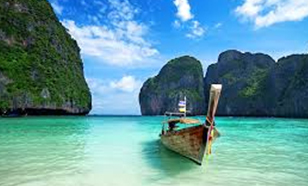 Why Book Thailand Tours with Us? 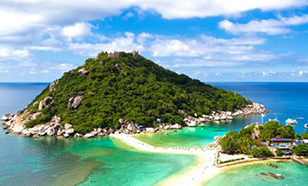 Mix a little bit of culture into a modern-day tourism and add a lot of beautiful islands, this is how the perfect Thailand vacation looks like. From jungle beaches to bustling city life, the country that runs on tourism has a lot to offer. 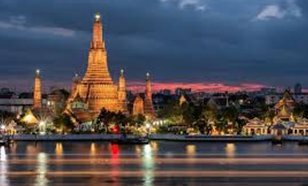 Our Thailand tour packages involve beautiful islands, water sports activities, visit to peaceful temples and city tours, and if that is not enough you can tell us the destination of our choice and we will customize the tour package especially for you. 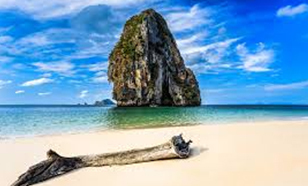 So whether you are planning a family trip to one of the beautiful islands of Thailand or you are visiting here on your honeymoon, we cater all our clients personally. Our packages are handpicked and we make sure to make our clients happy. Satisfied customers are the only reward that matters to us. From exploring Khao Sok Park to visiting floating market and exploring China Town, we will not only provide you with the most visited destinations but also take you on the tour to some of the offbeat destinations in Thailand as well. We are your certified travel partners and only after booking a trip with us, you will realize the difference between a great trip and an outstanding one. So, why not book with us? A visit to the jaw-dropping ‘Grand Palace’ tops the itineraries of every traveller in Bangkok. The city’s most famous landmark, the palace has been standing tall in its full glory for the past 150 years and has successfully been able to capture the attention of many curious travellers, historians and pilgrims. The awe-inspiring architecture and grandeur of this beautiful palace boasts of the excellent creativity and craftsmanship skills of Thai architects and engineers. The stunning beaches of Pattaya, kissed with azure blue waters of gulf of Thailand, are perfect to spend a lazy day basking under the sun. For swimmers, the calm and quite waves of the beaches are an absolute delight offering them ample opportunities to take a dip in the cool waters of the beach. 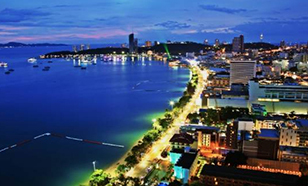 Pattaya is also dotted with numerous exquisite diving sites rich in coral and marine life, making it a favourite hotspot for scuba divers and snorkelers. When on a honeymoon trip in Phuket, head out for dreamy walks along the surreal coastline, surprise your beloved with a lovely candle-lit dinner on a luxury cruise or just sit back and revel the stunning beauty of the setting sun covering the entire beach in its charismatic orange-red hues; each moment spent on the picturesque beaches of Phuket with your soulmate, is sure to fill your heart with deep love and compassion. The astoundingly beautiful beaches of ‘Railay’ in Krabi are a treasure trove of stalactite dripping karsts providing ample opportunities to ardent rock-climbers across the world, have a magnificent experience of scaling the heights of these beautiful structures; no wonder why this stunningly beautiful island has to its acclaim, the reputation for being Thailand’s rock climbing paradise. 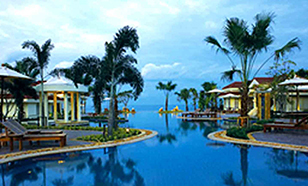 A popular sea-side resort, Hua Hin was once the summer capital for Thailand’s royal family. The town still has to it, a royal flavour that lures hordes of affluent foreigners, wealthy expats and many of the Bangkok’s elite and noble families. Away from the racy nightlife of other parts of Thailand, Hua Hin provides an up-class and regal atmosphere brimming with high-end restaurants and boutiques lined up with the likes of Mercedes, BMW, Audis and Jaguars. A typical ‘Koh Samui’ tour starts from a visit to the ‘Wat Phra Yai’ or the ‘Big Buddha Temple’ that sits on a small rocky cliff on the island’s North-Eastern corner. The 12 metres high seated golden Buddha can be seen from a distance of several kilometres and is often the first stopover for tourists visiting Koh Samui.